A busy thread at Google Webmaster Help has one webmaster asking if a large number of broken links that are found internally can have a negative impact on your Google rankings. The answer is it won't necessarily hurt the overall site's rankings in Google but it does hurt your internal linkage structure and hurts the user experience on your site. But generally, invalid URLs do not hurt the site's ranking on a whole. It does hurt the specific invalid page from ranking - since it is invalid. It doesn't give you the full benefit of using your internal linkage the most optimal way. But having invalid URLs and isolating just that, does not have a negative impact. The number of crawl errors on your site generally doesn't affect the rest of your site's crawling, indexing, or ranking. It's completely normal for a site to have URLs that are invalid and which return 404 (or 410, etc). That wouldn't be something which we would count against a site -- on the contrary, it's something which tells us that the site is configured correctly. 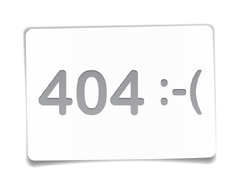 For more information about 404's in particular, I'd also check out our blog post over here.